One of the main reasons many Brazilians dream of owning their own car is that cars give them the ability to travel great distances quickly with autonomy and security. 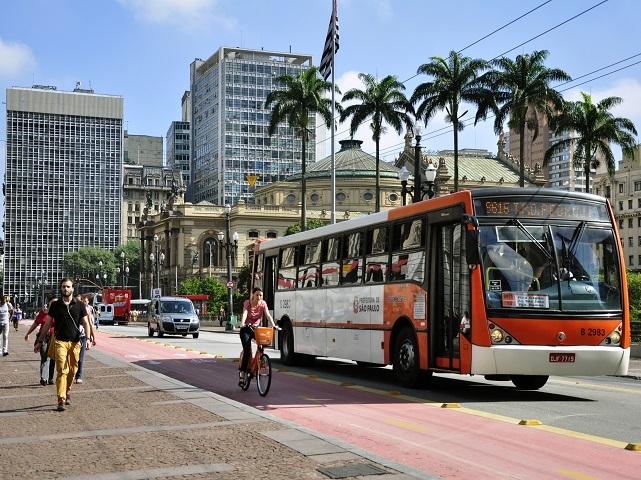 For years, Brazilian urban development has prioritized individual transport, heightening the desire of owning a private car and discouraging collective transit infrastructure. If increasing public transit use within a city is challenging, one can only imagine the challenge of intercity mobility, especially in larger metropolitan areas. Despite the scarcity of public transit, the number of Brazilians commuting daily, from one city to another, is increasing. According to the Brazilian Institute of Geography and Statistics (IBGE), the number of people traveling to a different city daily for work or school rose 93.9 percent from 2000 to 2010. In 2000, 7,327,041 people commuted, and, in 2010, that number jumped to 14,357,834. According to the Institute for Applied Economic Research (IPEA), between 2000 and 2010, the population of metropolitan areas grew above the national average for population growth. City centers, however, grew well below the average. According to IPEA, high property prices in major cities and low purchasing power for the average citizen shape this trend. Despite significant rates of urban employment, Brazilians tend to live outside of city centers, where land is cheaper. 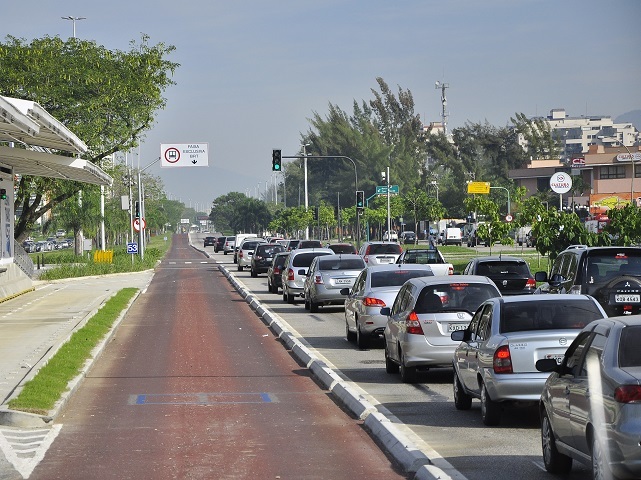 By commuting daily, Brazilians risk hours in traffic, environmental abuse and quality of life. Furthermore, when citizens drive individually and increase the number of road vehicles, these burdens exponentiate. However, despite these concerns, it is difficult to dissolve the dream of car ownership without an intercity public transportation service. Additionally, car-centric, intercity infrastructure amplifies the financial burden of commuting. For example, inhabitants of Brazil’s urban areas dedicate about 15 percent of their annual income to their daily commutes, spending on average five times more on private transport than public. Several other issues, including access to better healthcare, education and culture, are linked to the ease of intercity travel. Without a proper mobility system, Brazilians are denied important services and are placed under socio-economic stresses. How citizens manage their time affects the economy. For example, long commutes can lead to “sacrificed production,” meaning the longer one’s commute, the less time one spends producing goods or contributing to society. According to the Federation of Industries of the State of Rio de Janeiro (FIRJAN), annual losses in the Brazilian economy from metropolitan congestion reach 111 billion reais (US $34.8 billion), the equivalent of 4.4 percent of Brazil’s GDP. Furthermore, more than 17 million workers spend an average of 114 minutes commuting in each direction. Among Brazil’s 37 metropolitan areas, Rio de Janeiro has the longest travel time: 2.8 million workers travel an average of 141 minutes each way. As a result, the annual cost of “sacrificed production” in Rio exceeds 19 billion reais ($5.7 billion USD), equivalent to 5.9 percent of metropolitan GDP. Upon identifying these problems within Brazil’s urban planning and transit infrastructure, in early 2015, the Brazilian government enacted the Statute of Metropolis, outlining general guidelines for planning, managing and implementing public policies in metropolitan areas. 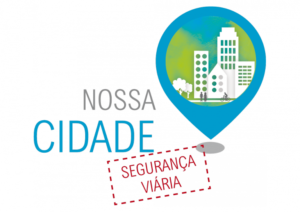 The Statute gives Brazilian cities a three-year period to deliver their Integrated Urban Development Plans (PNDI), which specify guidelines for strategic projects, actions and investments, as well as zoning guidelines. These development plans are up to the discretion of the cities but must meet the standards of the Statute. Furthermore, PNDIs are intended to spur social participation and promote transparency and dialogue between governmental officials and civil society. Cities across Brazil are evaluating their current successes and developmental goals as they shape their PNDIs. For instance, São Paulo, home to 39 cities and 21 million people, has a serious lack of connectivity, meaning developing a robust PNDI is essential. For example, intercity bus lines do not link the greater metropolitan area with the capital city. Integration only occurs between the intercity bus, metro and trains from the São Paulo Metropolitan Train Company (CPTM). “It is up to us, organized society, to implement the Statute. And for that, we have to create an inter-federal governance structure. A council bringing together representatives of government, private sector and civil society to discuss the metropolitan issues, “said Luiz José Predetti, Director of the São Paulo Metropolitan Planning Company SA (Emplasa) during a WRI Brasil event in Rio de Janeiro last September. Unlike São Paulo, Curitiba’s transport system serves as a model for metropolitan transport. The state’s capital is a pioneer for implementing bus rapid transit (BRT)—a system that prioritizes public transport over cars. Since the 1980s, Curitiba’s Integrated Transport Network (RIT) has successfully connected cities in the metropolitan area. Nevertheless, there are still ways Curitiba can improve its transport system. For example, enhancing its Green Line operation would further strengthen interconnectivity in the region. Similar to Curitiba, cities in Florianópolis also serve as examples for metropolitan transit management. 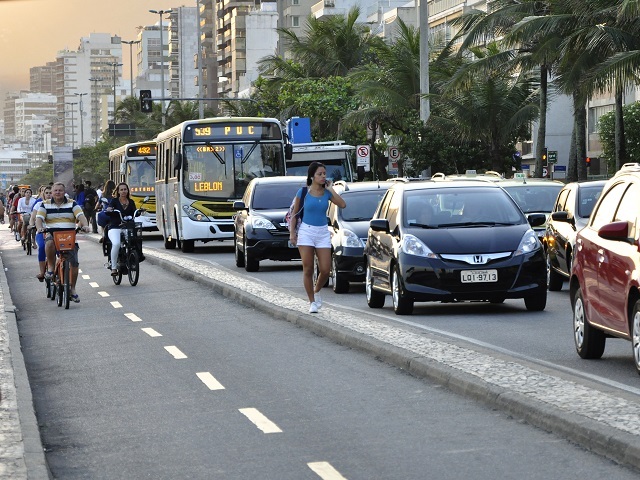 In April, governmental officials implemented the Urban Mobility Plan of Florianópolis (PLAMUS), an initiative to enhance public transport in the region, including bike lanes and BRT. 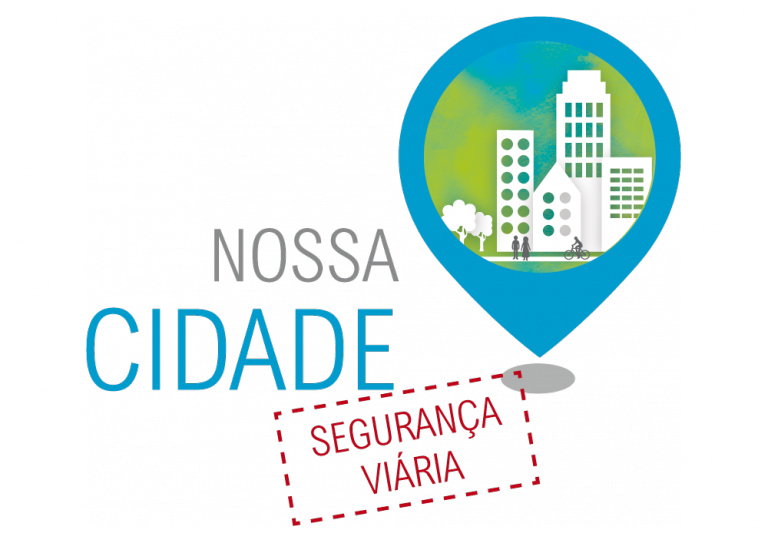 A technical study, conducted between 2014 and 2015 with the support of WRI Brasil Sustainable Cities, preceded the Mobility Plan to diagnose problems of urban mobility in Florianópolis’s 13 cities. In order to solve mobility problems and meet the Statute of Metropolis guidelines, Rio de Janeiro is already working on its PNDI. “When we do not have a model, a design, and are just doing more of the same, we cannot guarantee a sustainable development process. In the metropolitan area of Rio de Janeiro, urban expansion is 60 square kilometers (23 square miles) per year. We make a Herculean effort to improve the existing infrastructure. 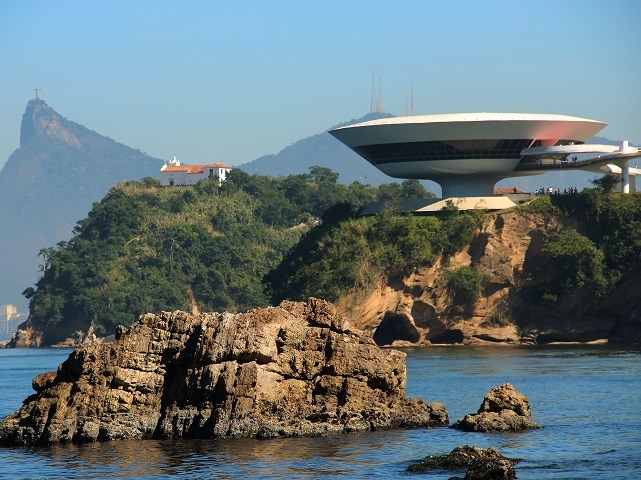 Building a solid planning effort, as we are doing here, is very exciting, “said Vicente Loureiro, Executive Director of the Metropolitan Chamber, at an event held in June by the State Government in partnership with WRI Brasil Sustainable Cities. In addition to PNDIs, the Metropolitan Chamber, with support from the World Bank, is formulating a Strategic Plan for Integrated Development of the Metropolitan Urban Region of Rio de Janeiro, or “Shaping the Metropolis.” WRI Brasil Sustainable Cities is on the plan’s Advisory Board, a body made up of civil society, the private sector and academia. This group will propose strategies and guidelines for consideration when preparing “Shaping the Metropolis.” This plan is intended to guide governmental decisions for the next 25 years. The guidelines discuss six aspects of metropolitan life: economic expansion, natural and cultural heritage, mobility, housing and social facilities, sanitation and environment and space reconfiguration. It will serve as an example of integrated management to other Brazilian metropolitan areas.